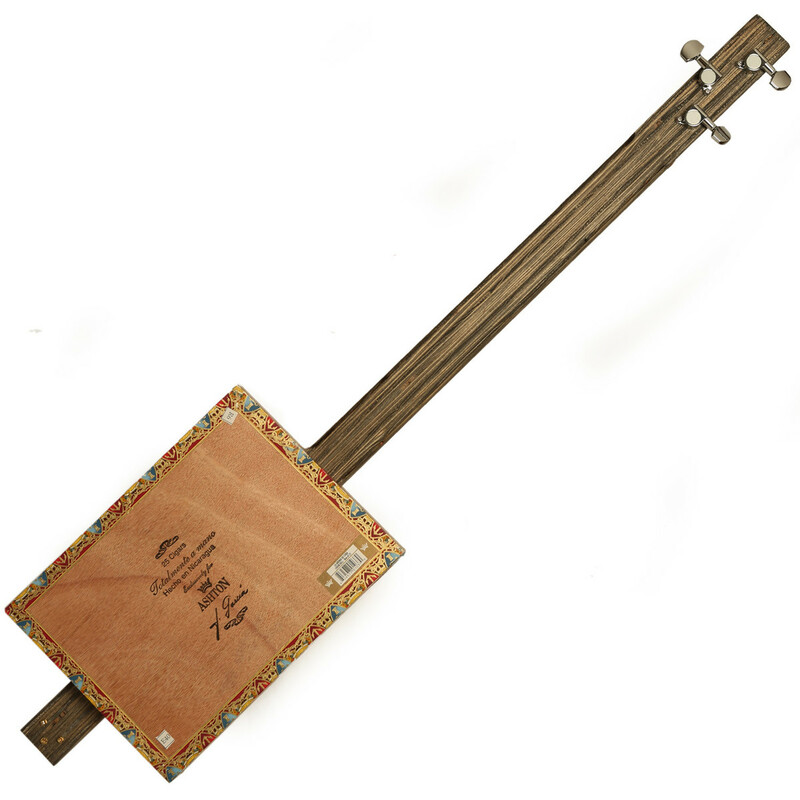 The Nineboys Cigar Box Guitar is made using an authentic Cigar Box which has been carefully sourced. The instrument gives you a great amplified sound plus the option of tapping the box for the traditional Delta style of playing. 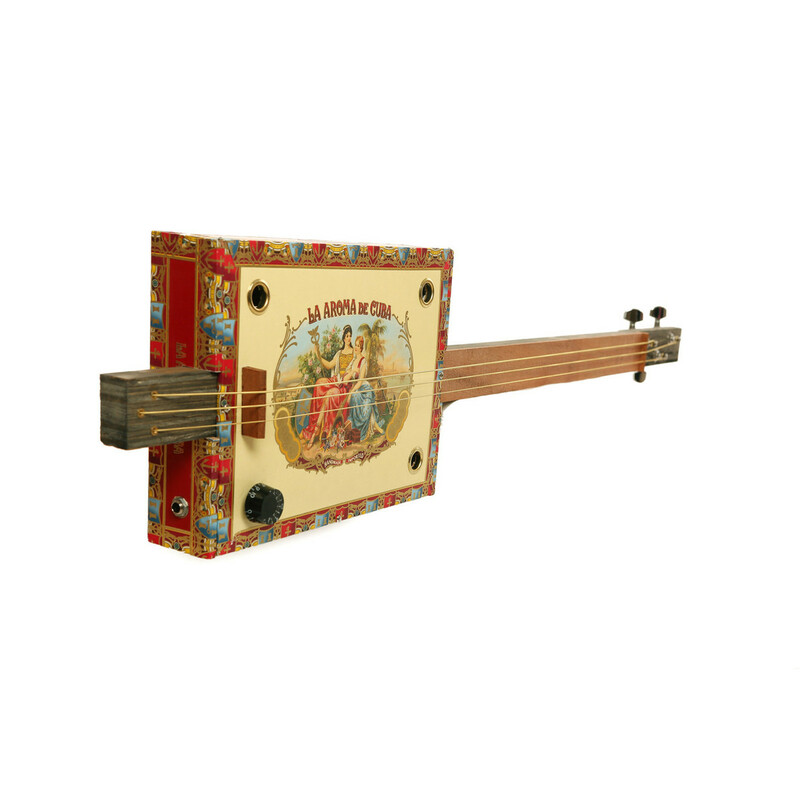 The Nineboys Cigar Box has a multi laminated neck for incredible strength and durability. It's finished in a beautiful Mahogany red stain. The Piezo pickup detects all the subtle nuances of your playing. The guitar also features die cast machine heads, a Made Hardwood bridge and an original La Aroma De Cuba box! Cigar box guitars and fiddles were a great way of making a musical instrument using materials at hand. They were important in the rise of jug bands and blues. As most of these performers were black Americans living in poverty, many could not afford to buy an instrument. Using these, along with the washtub bass (similar to the cigar box guitar), jugs, washboards and harmonica, these musicians performed the blues at local social events.